“Your Simple A/C Solution” to Problem Compressors! Scroll compressors have always had issues with low RPM performance and contaminants in the A/C system. gpd’s piston design is more tolerable of debris left in the A/C system. It also performs well at lower RPMs. 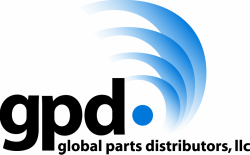 gpd offers piston direct fit replacements for the scroll compressors as well as Piston Replacement Compressor Kits.